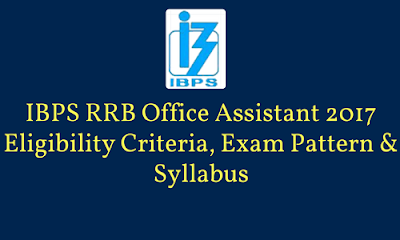 IBPS RRB Office Assistant Recruitment exam will be held in three stages viz. Prelims, Mains Exam and Personal Interview. The commencement of online application and registration will start in July and the Prelims exam will be held in September and the Mains exam will be organised in November. Here are the complete details of the recruitment process, eligibility criteria and exam pattern. Eligibility criteria have been decided by the number of posts and the complete details are given below. Migrated Peoples from Pakistan, Burma, Sri Lanka, East African countries of Kenya, Uganda, the United Republic of Tanzania, Zambia, Malawi, Zaire, Ethiopia and Vietnam with the intention of permanently settling in India. Time allotted for Mains exam is 2 hours.